Inspired by Buddist prayer beads, Mads Kornerup assembled his first bracelet made of gold beads on nylon thread back in 2001. He was far from imagining it would become the DNA of his brand Shamballa Jewels that just celebrated its 10th anniversary in 2015. Shamballa Jewels is all about jewelry that celebrates the miracle of creation and explores the multifaceted beauty of inner peace, passion and growth. The Danish-based brand has quickly risen to the international high-end jewelry scene thanks to its creative pieces with wildly-imaginative designs. Strong, ancient symbols become alive and vibrant in unusual combinations of materials and shapes that celebrate Eastern spirituality and enlightenment. 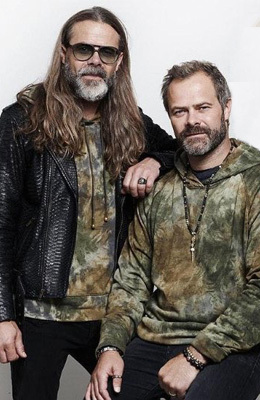 Founded in 2005 by the two brothers Mads and Mikkel in Copenhagen, Denmark – Shamballa Jewels is the result of the combined spiritual energy, creative vision and search for beauty of two kindred souls. The creation of the iconic Shamballa Bracelet with diamond-studded gold beads through the use of ancient macramé techniques marked the height of the brand’s innovative spirit and spiritual value. This quickly turned the iconic piece into a favourite of A-list celebrities like Jay-Z or Karl Lagerfeld. Not to mention that Kornerup first got the idea long before he established the brand just thinking about the Buddist prayer beads. Combining holistic principles and powerful ancient symbolism with contemporary elegance and luxury, Shamballa Jewels creates pieces that are the material embodiment of the true riches of peace and tranquillity. The signature style of the creations is characterized by architectural aesthetic, rigid minimalism and striking detail of execution. Aspiring to recreate the vibrant energy of the places that they’ve visited in the far-away Nepal and Tibet, the brother-designer duo strive for illumination in all its glory emanated through the careful choice of materials and exquisite composition of shapes and forms. The Star of Shamballa – the brand’s iconic logo – is present on all pieces, illuminating them with the mystic wisdom of ancient energies. 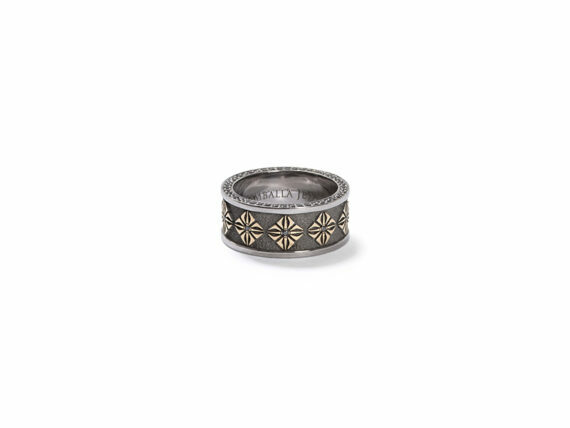 The seemingly simple and severe design of the bracelets contrasts with the intricacy of the mainstream available jewelry, but attracts attention on its own merit. Clean lines, dark and rich nuances and polished precious metals and diamonds come together in a powerful and evocative combination – one of composure, strong presence and refined elegance. Always bare in mind that the Star of Shamballa represents the irresistible force created by the mind. That creative force is found in everyone, where you are a star and you need to explore your energy of creation and power.